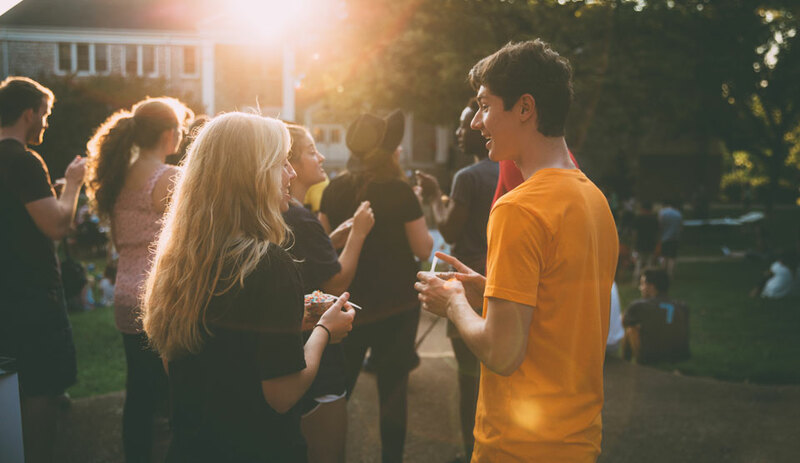 Trevecca’s commuting student program is designed to assist our off-campus students throughout their Trevecca experience. We provide a variety of resources and activities to enhance your experience and place in our community. Trevecca also offers lockers to our commuting students as well as a lounge area. Visit our TNU Commuters Facebook page for upcoming news and events! How do I reserve a commuter locker? Commuting students can reserve a locker by seeing the receptionist on the third floor of Mackey. Lockers are free for student use. Where is the commuter lounge? The commuter lounge is located on the ground floor of the Mackey Building. Within the lounge, you will find lockers, vending machines, a microwave, a coffee pot, a refrigerator, campus news and event information, and a television. The lounge is a place to meet fellow commuters, learn about opportunities for involvement and leadership on campus, as well as just a place to hang out or do homework between classes. What is the Commuter Council? The Commuter Council is a group of commuting students that meet to give voice to concerns as well as to plan events and programming to meet the needs of commuting students. If you are interested in serving on this council, please email Zack Church at zpchurch@trevecca.edu and include your name and the best way to contact you. Are there on-campus dining options for commuting students? Yes, there are several options for on-campus dining. Students can purchase meals anytime paying the line rate. They may also participate in a Ten-Meal Plan, a Full Meal Plan – unlimited access, or a Commuter Meal Plan. The Commuter Meal Plan is for non-residential students only. This meal plan consists of 75 meals per semester, breakfast or lunch, Monday through Friday and includes 15 exchange meals. Exchange meals can be used in any of the four food areas on campus that are outside of the cafeteria (The Hub, The Cube, Nineteen|01 - 2 locations). Meals after 4 pm are excluded from this meal plan. Information on dining options can be found here. What is the University housing requirement and how does it affect commuter students? Students who are enrolled for five or less credit hours, are 23 years of age or older, have a previous baccalaureate degree, have been previously married, or have children who desire to live in residence halls may do so subject to permission from the Office of Student Development. For more information contact the Office of Student Development by e-mail at Housing@trevecca.edu or by calling 615-248-1398. Commuting students are required to submit residency information each semester via the Student Development Gateway on TNU4U. The residency requirement does not apply to students enrolled for summer school courses.